Andrew Imbrie Interview with Bruce Duffie . . . . . Doing a series of interviews — as I did for many years on WNIB — meant that I met with a lot of musicians who were working in various sections of the field. Many were composers, and I'm happy to say that the programs I presented were well-received by listeners. In order to sort them out and run them in a meaningful sequence, I established a practice of leaning on round birthdays. That is to say, I would celebrate a 50th or 65th or 70th or any anniversary divisible by five. Some guests smirked at this arrangement, but most understood the need to have some kind of reason for broadcast, and all were very happy to get the air time in Chicago. Now that the station no longer exists, I am very pleased to be able to give some of them another push by presenting them on my website. Names on this page which are links refer to my Interviews elsewhere on my website. 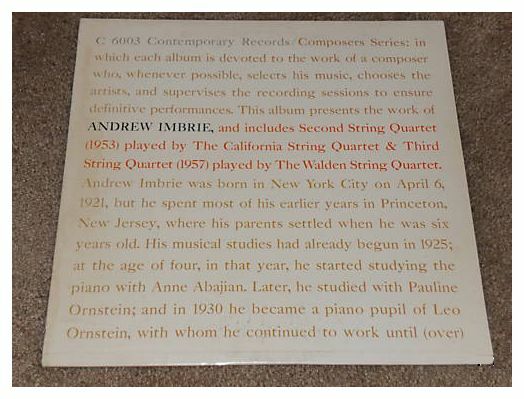 As it happened, my chat with Andrew Imbrie took place shortly after his 65th birthday, so as soon as I had the materials in hand, I scheduled the program. He mentioned to me that he would like to know when the interview would run on so that he could alert his friends in Chicago. This led to my first question . . . . .
BD: This idea of knowing about the interview brings up one of my favorite questions. Are you not aware of the performances of your music that take place all over the world? BD: Are there many more than you know about? AI: I doubt it. I do receive communications from B.M.I., the royalty-collecting agency. So when there’s a radio performance, for example, or a concert performance, in some other country or even in this country, I usually hear about it that way, if I don’t hear about it in other ways. They have a monitoring service. BD: Are you pleased with the various performances that you have heard of your music? AI: Very much so, on the whole. I’ve had some very good experiences. I remember one time hearing a recording of a work of mine, which I had never had recorded and didn’t know it was going to take place. It turned out very well. It was a recording of a piece called Dandelion Wine, and it came out on a Turnabout disk several years back. I was delighted with it, although I had never met any of the musicians involved. It’s always nice to be present at the rehearsal just before the final rehearsal, so that you can make a few suggestions, but it isn’t always possible. BD: Are you a big suggestion maker? AI: Not a big one. I usually listen very carefully and take notes, and then I make a few comments. But in case of a first performance, I am usually a little more comprehensive in my suggestions because sometimes it’s my fault if I haven’t quite got the balance correct. I may ask somebody to do something, play a little louder or a little softer than I had indicated, and things of that sort. But if it’s a piece that has been performed a number of times in which these problems have been ironed out, I usually don’t have to make too many suggestions. BD: Talking about first performances, are you ever surprised with the way things sound? AI: Well, less than I used to be! [Both laugh] After a certain amount of experience, you begin to have a pretty good idea how things are going to turn out. I must say that the surprises have often been pleasant ones, too. There’s a recent work of mine called Pilgrimage which was first performed in Cambridge by a group called Collage Ensemble. When I first heard them rehearse the work I was very pleased; it sounded much more brilliant than I had even expected it to. They were excellent players, of course, and so that was a very pleasant experience for me. As a matter of fact, I’m now writing another piece for a similar combination. BD: Beyond being more brilliant, do performers or conductors find things in your music that even you didn’t know were there? AI: Oh, I don’t think so, no! I think I’m pretty much aware of what’s there. BD: Are you also a performer, or are you basically a composer and teacher? AI: I used to be a pianist, and I guess I still am, but I don’t perform publicly anymore. When I was young I gave quite a few recitals. I performed once with the Philadelphia Orchestra at a children’s concert when I was about twelve, and I performed concertos with student orchestras and things like that. And I used to give recitals, but then I got more and more interested in composition and my interest turned in that direction. So I use the piano now mostly for teaching purposes — illustration and that sort of thing, and for sight-reading student compositions. BD: How has the teaching of composition changed over the course of your career? AI: Well, I think that there is more emphasis on private teaching than there used to be. I’m not entirely convinced that this is a good idea. I studied with Roger Sessions, and also briefly with Nadia Boulanger. But particularly with Roger, I felt that the experience of being in a classroom with other people, of being in a seminar room, was a very good one. When the instructor, let’s say when Roger would criticize somebody else’s work, I found that I was interested in his criticism, and tried to pinpoint in my own mind what the problem with this other person’s work would be. Very often I realized that he could put his finger on it much faster than I could because of his great experience. And I learned a lot by listening to what he had to say about other people’s work. When he talked about my own work, I had to filter it through my own ego. And I think that’s a common problem with teaching, that the student tends to be very defensive about his own brainchild, whereas he’ll be less so about somebody else’s. So I think it’s a very helpful thing to have people taught in groups. On the other hand, it’s more and more the case that I find myself teaching students individually a lot more than I used to. That seems to be the fashion nowadays and I think it’s working out all right that way, too. You just have to be very careful about not saying things in such a way as to cause the student to have a defensive reaction. You have to be very careful how you phrase your criticism, and I think it takes a lot of experience to do that. BD: Do you find that the students today are better or worse, or just different than they were twenty, thirty, forty years ago? AI: They’re more sophisticated, certainly. I think that the musical life in this country has become very active and very intense over the last few decades, so that when I look back at what I was like at the age of my current students, it seems to me they have a much wider acquaintanceship with more different kinds of music, especially contemporary music. There are so many schools now in contemporary music, and so many trends, that the danger is that of trendiness; whereas the danger in my day was simply embracing the twentieth century and coming of age, as it were. That was a national thing as well as an individual thing. BD: Are there perhaps too many trends going on at the same time now? AI: I wouldn’t want to legislate against any of them! I think they have to happen. As long as people want to write a certain kind of music, they should write it. The political aspect of it is very complex, and that’s less attractive. But there are certain kinds of personalities who tend to dominate other people, and I think it takes a good deal of toughness on the part of a student to resist being pulled this way and that by all kinds of charismatic leaders. But a student who has real integrity can withstand this, and it’s probably a good thing that one is exposed to all these influences. But it’s not only contemporary influences. We are now being inundated by music from the past and music from other civilizations. There’s great interest in oriental music and African music, jazz and pop music and medieval music, you name it. So the young composer today has probably more different kinds of influences being brought to bear upon him than ever before. BD: How much of this is the result of the great proliferation of recordings? AI: It’s very much a result of that, and also beyond that. It’s the result of the fact that we have become a world power and that no country is as isolated as it used to be. No civilization is as isolated as it used to be, and we’re all trying to wake up to the fact that we’re living in the world, and not just in the western world and not just in the contemporary world. The past has its influence on us. For example, thirty years ago, back in the fifties, a group of European composers were trying to isolate themselves completely from the past by writing a kind of music in which it could never be claimed that there was any influence from the past. They tried to do this by total serialization, or perhaps by chance operations, in order to remove themselves from responsibility for their creations, and to be able to prove that this piece of music was sui generis, that it didn’t come from anything in the past. Well, that has been pretty well discredited now. I think people have to face up to the fact that they have a past. We have roots; we all have roots someplace, and we have to go back to our own roots and reconcile it with everybody else’s roots, and reconcile it with what’s going on in the rest of the world and what used to go on, and somehow integrate it. I don’t think this integration can be done by an intellectual process. It has to be done just by being oneself; one’s integrity is important. And what happens is all these influences are brought to bear subconsciously, and when a composer matures he starts writing his own music, if he’s any good. Otherwise, he’ll never write his own music. BD: Is it your job, or is it the student’s job to figure out if the student is any good? AI: It’s partly the job of the teacher because you have to grade the student; you have to decide whether he passes or doesn’t pass. We can only do the best we can, as any teacher does the best he can. Obviously, we may not have the final answer. We can always be wrong. 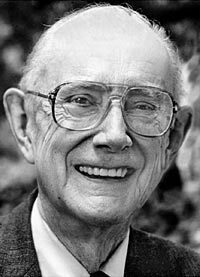 BD: I’ve always been curious — is music composition something that really can be taught, or must it be inbred in each and every student? AI: When you say inbred, what do you mean? BD: I guess I’m really asking how much is technique and how much is inspiration? AI: Oh well, techniques can certainly be taught, but untalented students have a hard time with technique. Those who have less trouble with technique, those who absorb it more quickly, tend to be the more talented ones. I don’t think I’m really answering your question. Obviously, talent cannot directly be taught, but inspiration can come from a good teacher. A good teacher can get a student interested in what he’s doing. I’ve found the best teachers I had were very inspiring. It wasn’t that they taught inspiration as a commodity, as a subject, they just, by their presence and by their accomplishments and by their attitudes as projected through their teaching, they helped you mature as an individual and as a composer. BD: Are you pleased with the direction that music is going today? AI: [Laughs] I don’t really know what that direction is. There are many different directions, and what I am pleased with is the fact that there are always talented students coming along who are doing interesting things. They may not all be going in the same direction, but there’s something underneath it all which is reassuring. One kind of experience that I find reassuring is that of serving on a jury, often made up of different composers with very different persuasions. The jury will look at forty or fifty manuscripts, or tapes, and try to award a scholarship or a prize to the best one. Over and over again I have been impressed by the fact that talent is recognized very readily by such a jury, even though the composers on the jury may be of very different aesthetic persuasions. They all recognize what constitutes a talented young composer. BD: What exactly are you looking for? Are you looking for the best piece, or the most potential? AI: Depending on what level you’re talking about, you can give awards to students or you can give awards to composers who have been professional composers for a number of years. So in the former case you’re looking for promise, and in the latter case you’re looking for the best piece or what seems to be the most individual expression and the most convincing expression from many points of view. I think that a really talented, original piece is recognizable by a group of experienced composers of many different persuasions, and that tends to suggest to my mind the fact that there is a common denominator of some sort which we ourselves may not be able to explain, but that we all have a feeling for what it means to be a good composer. BD: Do you feel that you and your music are part of a musical lineage? Do you fit into the musical world which is going on? AI: Yes. You’re asking a question which really urges me to pretend that I’m a historian, rather than a composer. BD: Right, right. Take yourself out of the picture and look at it. AI: This is a very tricky area because everybody has an axe to grind. Everybody thinks that the music he or she is writing is the best. Otherwise we wouldn’t be doing it; we’d be doing something else. So to get out of that and try to decide whether my music is in the mainstream or a tributary would be impossible for me to say. I do think that the music I write does have its antecedents. I find that when I write music, I am constantly doing turns of phrase and composing things which certainly resemble other music that I have heard. I’ve become less and less worried about that because I begin to realize that what constitutes originality is not just the physical fact of not sounding anything like anything that’s been written before. Being original means somehow conveying a fresh vision of things, and the language you use to express that must, in some ways, resemble the languages that have been used before — just as if you are writing poetry, you still have to use the English language or the French language or whatever language you choose, but there has to be a language in which your ideas are communicated. To that extent, you’re using the same words, the same constructions, that other people have used, but you’re using them somewhat differently. BD: Do you feel that’s an accurate description? AI: Well, I think that all of those things I would like to have said about my music. I don’t see anything there that I would want to disagree with on principle. I hope my music is as good as that makes it sound. [Laughs] When they say classical motivic development, I suppose it means that I recognize the fact that a certain group of intervals, played in a certain way with certain rhythms, can be recognized, and the fact that it can be recognized can be used by the composer as a way of creating continuity and coherence. In other words, I’m not afraid of the idea of a motive, if that’s what they mean by that. I’m not afraid of taking something and repeating it, or varying it in such as way as to continue the musical discourse in an effective manner. I’m not one of those composers who try to avoid repetition of all kinds and try to make very moment absolutely brand new. I don’t think that’s possible, actually. BD: Not possible, and not even desirable? AI: I don’t think it’s even possible to do that. AI: I would like them to meet me halfway! [Laughs] I think that’s what I would expect. I would like them to listen, and not to start thinking about other things. I would like them to be alert and to pay attention, and I would hope that if they are alert and if they do pay attention, that their attention will be rewarded. And in order to do this they should have some experience with other music. It isn’t possible to communicate with someone who has absolutely no background in music at all, but I would say the average concert-going audience certainly ought to be able to enter into what I’m trying to say, musically. I’ve had the experience of having audiences respond positively, so I assume that it’s possible. There are always some who don’t respond, and this is the way it always is, too. BD: Let me turn the question around. What is the obligation of the composer? AI: Well, I think the obligation of the composer is to project his ideas. Lots of people can walk along the street and say they have a wonderful idea, but they can’t put it on paper. Or when they put it on paper, it doesn’t make any sense to anyone else. What you have to do is to capture the essence of your own idea and try to project it as clearly as possible. That’s where technique comes in. You wear a critical hat as well as a creative hat when you compose, and you have to keep changing those hats back and forth, just the way a painter will step back from his canvas and squint at it, and then come back and paint some more. I think the purpose of the squinting at it is to put himself in the place of the viewer, in this case. Likewise, the composer is obligated to put himself in the place of the listener and imagine that this was a piece written by someone else. Would it make any sense? You don’t even have to go through that exercise; you know darn well, sometimes, that it doesn’t make sense. You’re trying to say something and it isn’t coming through. That means that you as listener are not in tune with you as composer; you haven’t quite figured out what it is that needs to be clarified in order to make that idea project across the footlights. It’s like being an actor. You have to have a sense of timing; you have to know how to project your lines, your words, your gestures, perhaps even a little larger than life, in order to make them as clear as possible. I think this applies to the music of Bach as much as it does to the music of Tchaikovsky. It’s not a question of hamming it up in a vulgar sense; it’s a question of your gestures being unmistakable. That’s what I think the composer’s obligation is, in a nutshell. Of course, this is all a great oversimplification. BD: Oh sure, sure. You’ve spent a lifetime delving into all of this and you could probably write volumes and volumes about it. A brief interview on the radio is just an overview. AI: I’d rather spend the time writing the music. BD: Ah! Well, for whom do you write? Do you write for a specific public, or do you write for yourself? AI: In one sense, I write for myself. I think everybody has to do that first, but I should qualify that by saying that I regard myself as a member of the human race, a member of the society in which I live. So when I write for myself, I’m writing for myself as listener, assuming that if I like it, somebody else may. If I don’t like it, I don’t think anybody else will. I think you’ll find most composers will say this, no matter what their persuasion. I’ve heard this same statement made by many composers on interviews and panel discussions. It seems it’s sort of like the stock answer that every composer comes up with when asked that question, so I don’t claim any originality for this, but I think it’s true nevertheless. BD: Are there not pieces that you don’t like, which are either acknowledged masterpieces, or at least are quite popular among other people? AI: Oh, yes! There are plenty of pieces that are very popular that I don’t like, and there are some that aren’t popular that I do like. But when I write, I don’t write for a particular segment of the population. I don’t say, “This is for you, and this is not for you.” I’m too busy trying to make the darn thing work; too busy trying to make the piece really get off the ground and really stand there! My main job when I’m composing is to put something together that won’t fall apart the minute I walk out of the room! And if it stands on its own feet, as it were, then I feel that I’ve succeeded. Now what does it mean by standing on its own feet? It means that I don’t have to be there in order to have this piece do its job. In other words, a group of performers can get together and perform that piece, and an audience can listen to it, and something, some kind of communication, will take place. I would hope that the audience would be as large as possible; I never have any feeling of being in a little ghetto of composers who only write for each other. This is a common myth that people invent about composers today; they think that composers spend their time writing for each other. But I couldn’t think of anything less interesting than writing a piece just to be listened to by other composers. I would find that a very futile occupation. BD: You say that it’s really a myth, that it’s not going on, though it seems to be. AI: I don’t think it’s going on at all! I don’t think any composer would admit that it was going on. I don’t know one single composer who would come right out and say, “I’m writing this piece for other composers.” I’ve never heard anyone say that, or imply that. BD: Then why has the myth grown up? AI: I think it’s because a lot of the contemporary music is difficult. It tends to demand a kind of listening which some people are not willing to give, so they assume that somehow the composer is pulling a fast one, or the composer is simply writing for someone else. I suppose that’s what it really is. A lot of people seem to think that if they don’t like the music, well, “It’s not for me. It’s for somebody else.” So that’s where this myth gets started, but I don’t think the composer looks at it that way. BD: How do we get the public to appreciate, or at least enjoy, more contemporary music? AI: Well, that’s the question. I think a lot of them do. I think that the audience for contemporary music is a fairly substantial one, actually. If you compare it to the audience for, let’s say, Mozart’s music in Mozart’s time, that was a very limited audience, limited to a certain class of people and a certain geographic locality. BD: But don’t we really have to compare the audience of today with other audiences today, rather than something that happened three hundred years ago? AI: Well, yes, that’s true. But I don’t think that you’re going to get the same size audience for a new work that you’re going to get for Beethoven, or Tchaikovsky because these things are very familiar; they’re classics and people feel comfortable and safe with them. Of course, they are marvelous pieces, and they keep revealing themselves anew each time you hear them. They’re miracles. I’m as much of a Beethoven fan as anyone else, and I wouldn’t want my music to supplant Beethoven’s. BD: But you would like it to stand alongside, yes? AI: I would like it to stand alongside Beethoven, and everybody else’s music. If it doesn’t, if contemporary music doesn’t take its place beside the others, then the concert hall will become a museum instead of a living experience for people. BD: Do you feel that your music works best on an all-contemporary concert, or would it be best to drop a piece of yours into a concert with Haydn and Beethoven and Mozart? AI: It’s been done both ways and it doesn’t matter much. I think that an all-contemporary concert is attended by people who have a special interest in contemporary music, so it’s likely to get a more sympathetic hearing in that situation. I have also had very good experiences in which the work has been done on a standard program. Usually you’ll find some of the audience saying they wish that they didn’t have to sit through this kind of thing, but there’s a good number of people who don’t feel that way. I have never felt a strong sense of isolation in those situations, unless the performance has been a very poor one, and then it’s understandable why people would be turned off. BD: Is there any competition amongst composers? AI: Well yes, of course there is, just as in any other field. It’s a highly competitive field. There are limited opportunities for performance, and there are limited opportunities for teaching jobs and performing jobs. I don’t think there’s any doubt about that. It should be that way, obviously. You can’t just let it be a free-for-all in which anyone can get into the act. I think competition is a healthy thing, because it forces people to do their best. BD: Let’s talk about some of your music specifically now. First of all, the Violin Concerto. Tell me a bit about this work. AI: It was written a long time ago. Actually, it was completed in 1954, but it was begun even quite a bit before that. I interrupted it to write some other pieces. It was originally written just because I wanted to write a violin concerto. There was no firm commission from anybody. I was in my early thirties at the time, and it was a piece that I put a lot of work into. Then after I finished two movements of it, I did get some commissions for some chamber music, so I dropped it, and then somewhat later I came back and finished the last movement. It sat on the shelf for four years because there was no one who particularly wanted to perform it. Then when we opened our new music building at the University of California in Berkeley in 1958, there was some money from the university which was given out in order to have performances in the new auditorium. The San Francisco Symphony was going to be invited to give one of the opening concerts, and I asked to have this work included in the program. That’s how it got its premiere. It went very well, and since then it has had a number of performances and it’s been recorded. BD: Do you advise young composers, or even old composers, to write what they want rather than waiting for commissions? AI: They should always write! If there are no commissions coming up, you write anyway. Over the last several years I’ve had enough commissions to keep me busy, but occasionally there’s been a hiatus. About four or five years ago there was a soprano student at the conservatory who asked me to write a song cycle for her. I had nothing else to do, so I did it and that piece has been performed by a number of different singers. It’s now being published, but normally, if there’s no commission, just write for whoever wants to sing or play your music. If there is a commission, then that, of course, takes precedence. AI: I sometimes have to postpone them. If someone commissions something, I say, “Well, I’ve got three or four commissions that I have to complete first.” I will get around to it as soon as I can, and sometimes the opportunity just slips away because I haven’t been able to get around to it and something else takes its place. I think I’ve accepted most of the commissions that have come along. BD: I just wondered if there was ever a case where they asked you to do something you really didn’t feel like writing. AI: If that were the case, I would say no, but usually I find it an interesting challenge. Sometimes I’m not sure that I want to do it, but then when I get into it, I enjoy it. I once wrote a piece for four solo voices with piano accompaniment, and that group disbanded before I could finish it. I wasn’t sure I wanted to write it in the first place, but I got into it and got quite interested. Then another group finally took it up and performed it. It’s a little like being an architect in which somebody says, “I have a lot. It’s this size and it’s on a hill and it faces this direction and I need so many bathrooms.” As soon as the parameters of the problem are described, it becomes kind of an incentive to see what you would do to solve the problem. Sometimes your musical ideas begin to take shape as a result of the limitations that are imposed by the person who wants to commission the work. I’ve always found it to be a great stimulus, actually. BD: Do you feel you’re a musical architect? AI: Well, in a way. I like to try something I haven’t tried before. The piece that I mentioned a moment ago, Pilgrimage, was something that I wrote for this ensemble which had a percussion player in it. I had never written a chamber work involving percussion before. I had used percussion in orchestral works, but I knew that a lot of people nowadays were using percussion in chamber music, and I thought it was about time that I did it, too. Here was the opportunity, so somewhat hesitantly I started doing this and I got fascinated with the possibilities. I felt that I was doing it in a way that was different from the other pieces I’d heard. I’d always had certain reservations about the use of percussion in chamber ensembles, and I think that I was able to get around the things that bothered me about it. I ended up writing a piece that pleased me very much. BD: Have you ever written a piece that you feel has just turned out completely the wrong way, or do you abandon it before it gets to that point? AI: I try to fix it. There are some; obviously I don’t like all the pieces I’ve written as well as all the others. There are some that I like better. I think there are a few pieces I wrote in the past which I don’t have any great desire to hear performed again, and there are some that if they were to be performed again, I would want to go back and fix them up a little bit. I remember I had one interesting experience: I wrote a symphony for an orchestra in England, the Halle Orchestra of Manchester, and when it was performed, I realized that there was one part toward the end which I had miscalculated orchestrally. It just wasn’t coming off properly. When that piece was going to be performed again by the Oakland Symphony here in California, I had a chance to fix the orchestration and make it work better. I was much more pleased with the results and it was later recorded by the London Symphony. So I had an opportunity to actually improve the piece because I had miscalculated it on the first run around. That happens occasionally. AI: I wouldn’t want that. This happens, you know. The symphonies of Bruckner are a good example. Apparently he revised his symphonies so there are several versions of them. I know that Mahler, in the middle of his career, was changing the orchestration of his fourth and fifth symphonies, I believe. In the light of his experience as a conductor, and having performed them, he went back and revised them. I’m not enough of a scholar to have an opinion on which version is the best, in the case of Bruckner. But I would imagine in the case of Mahler I would pick the latest revision because he was a pretty canny orchestrator. I think that the reason he revised so many times was that he was an innovator in the whole field of orchestration. He was doing things that were really quite unusual and unprecedented, and he had to try them out. I don’t suppose any of us have the genius that Mahler had in handling the orchestra, but I know that we all have our own idea of how something should sound, and trying to realize that ideal in actual orchestral technique, or instrumental technique, is not always easy. You have to develop your own language as you go along, so there are times when you may want to revise. BD: Another work I would like to ask about is On the Beach at Night. AI: Yes, that’s an even older work. It was written back in 1949, I believe, to a poem by Walt Whitman, and is scored for mixed chorus and string orchestra. I wrote it, I think, while I was at the American Academy in Rome, and it’s been done a number of times. It’s been done here in Berkeley by student orchestras, and was done recently at Brandeis University by their chorus and a professional string orchestra. When I hear that piece, it’s like looking at a picture of one’s self taken thirty or forty years ago. It seems very youthful and somewhat naïve to me now, but I still like it. I wouldn’t write a piece like that now; my style has changed too much. But I still like the piece. I get a sort of a kick out of it, and it’s quite effective, actually. But it’s the work of a young and very enthusiastic composer who is just starting out. I still have a certain fondness for it. BD: I know this is a difficult question to ask, but is there any one piece, or two pieces, that you feel are the most significant of your output so far? AI: Well, I think there are. The opera, Angle of Repose, is certainly my biggest work and the most important in that sense. The Pilgrimage piece is one that I’m particularly interested in because it’s my most recent chamber work. And then I think about the Requiem that I wrote in memory of my son, John, who died suddenly at the age of almost nineteen. That piece was performed by the San Francisco Symphony a year ago last January. Those are certainly three of the works that I consider important, and I also think my Fourth String Quartet is one of the important pieces. That’s been recorded by the Emerson String Quartet on the New World Records label. It was commissioned by the Pro Arte Quartet and was first performed in Madison. They’re in residence at the University of Wisconsin in Madison, and they have commissioned another quartet which I will write for them fairly soon. They have performed all four of my Quartets and they are very good friends of mine. I regard them as a wonderful group. BD: When you get a commission, do you know about how long it will take you to write it? AI: I have to try and calculate that, because, for example, the piece that I’m writing now is scheduled to be performed in New York on November 6th. I’m about halfway through and I have to be able to promise them that they will get it two months before the premiere. In other words, by September 6th I have to have it in their hands. It will be a piece something like the Pilgrimage, although it will be for eight instruments instead of six, and it will be a good twenty minute work. I have to be able to tell them that they can have it by such and such a date, and then there are other pieces that I have also promised to write that I have to somehow fit in. Some deadlines are less definite than others, so you sort of juggle things a little bit. AI: Well, I like a combination of both! [Laughs] Too many deadlines makes for sleepless nights; not enough makes for a sense of insecurity as to whether maybe you’re on the shelf! BD: Let’s move on to your operas. We’ll get to Angle of Repose in just a minute, but I noticed that you wrote a smaller opera, Christmas in People’s Town. AI: Yes. It was originally called Three Against Christmas, and then the author of the play, the libretto, who was a friend of mine that I knew in the service during World War Two, decided to change the title to Christmas in People’s Town because he thought that the first title might turn people off. It’s a ninety minute work and it’s in four scenes. In other words, it’s a half an evening of opera. It should be done as a double bill with something else. BD: Would it be better to do it on a double bill with another contemporary work, or should they drag out a Pergolesi or something from that era? AI: It was done with Mozart’s Impressario on the first performance, but could also be done with another contemporary opera. It’s a piece that calls for about five soloists and an orchestra of about thirty-five musicians and a chorus. It’s a magical tale and something of a satire as well. It’s hard to describe. The main characters are three men, sort of Dickens-like caricature characters, who are the commissioners of this town, who decree that Christmas will be abolished! As a result, the sun refuses to rise the next morning. And of course, through the intermediary attentions of the heroine, who is a young girl who prays for all the people involved, she finally persuades the sun to rise. The three commissioners mend their ways and decide to have Christmas every day of the year — July, August, it doesn’t make any difference. So there’s a little bit of satire involved. It doesn’t make any sense when I just give you the barebones outline, but it was an interesting experience. What it did for me was to give me enough experience with opera so that when I had the opportunity to write a full-length opera, I didn’t feel as if I were going into it with no experience at all. BD: Then let’s talk about the big work, Angle of Repose. This was a commission from the San Francisco Opera? AI: Yes, this was a bicentennial commission. Kurt Adler, who at that time was the director of the San Francisco Opera, decided that he wanted an American work for the bicentennial, rather than a European work. I understand the Chicago Lyric Opera commissioned the Polish composer Krzystof Penderecki. BD: Yes, and we got Paradise Lost, which surprised everybody and baffled a few. AI: I think it baffled Adler, and it may be partly because of that that he decided he would not commission a foreign composer to celebrate the American bicentennial, but he would commission an American composer. And he wanted to commission one who lived in the San Francisco area, so I was very fortunate in being the one that he chose. The novel is by Wallace Stegner, a first-rate American novelist who has written many novels having to do with the West. But he doesn’t write Westerns; he writes psychological novels and novels about Americans. He didn’t want to do the libretto himself, for reasons which would be easy to understand. I don’t think he wanted to tear his masterpiece apart and revise it in order to make an opera out of it. 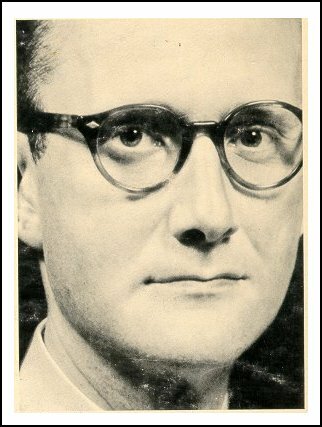 We were able to get a librettist named Oakley Hall, who is also a novelist. He worked up the libretto for it, and we worked together very intensively for a year and a quarter. He first mapped out the scenario and wrote a libretto, and I would set it to music. Then he’d call me on the phone and say he wanted to change something, and I’d say, “Well, I’m sorry. I’ve already set that to music,” and we’d go to the mat over that. Sometimes I could persuade him to leave it the way it was; sometimes I was able to accommodate the music to the new version. But in any case, we worked it out very amicably, and it was a very interesting. BD: Did you have any input into the libretto? AI: Yes, I was able to make suggestions. To give an example, I felt very strongly that the mezzo-soprano soloist, one of the important characters, should have a big aria at the end of the second act. I knew what the content of the aria should be, essentially, but he didn’t see how you could end an act on what, to him, was just a soliloquy. He’s not a musician, although he likes opera, but the thought of having an act close with one person just telling you exactly how she felt about everything didn’t seem very dramatic to him. I had to persuade him that nothing is more effective than to end on a brilliant aria — if you can come up with one! So it was a question of my blocking out what I thought she should be singing about, and we had to figure a way to lead her into that situation so that it would be dramatically believable. We worked out that problem and it actually did work quite well. But most of the time I would follow his lead on how the scenario should go. At first I was mostly interested in mapping out the structure of each scene with regard to where the climax occurred, or where some change would take place. I wanted to get an overall view of each scene, and then we would discuss that before he actually wrote the words. Then he would write the words, but he was the sort of writer who likes to go through a whole thing, then go back and revise the whole thing, and then go back and revise it again. Of course, that didn’t fit my timetable very well. We were working under great time pressure. BD: Would it not have been better for you to just see the end product completely, and work from that? AI: We didn’t have time; that’s the trouble. I had to start working right away. BD: I mean, if you had had time? AI: If I’d had time, it would have been nice to have it all ironed out, and then start. But we didn’t have that luxury! Anyway, I think it worked out all right. BD: The performances were well received? AI: Yes. There were five performances, and they were practically all sold out. It was very well received. BD: Has it been done elsewhere? AI: I’m afraid it hasn’t. BD: It’s sort of surprising that a work would get done well, and then disappear. AI: Well, yes. I don’t know. I’m just hoping someday somebody will revive it, but it’s not because it wasn’t well received in San Francisco. AI: Well, it was an education. I guess I was prepared to be surprised because the only previous experience I’d had was with this Three Against Christmas, which was done in a university context that was a very small operation by comparison with a major opera house. I found that working with the stage director, Gerald Freedman, was a very educational experience, because he was very experienced in all forms of the theater and television and opera. He was able to make very valuable suggestions as we went along, and sometimes I saw the wisdom. I was writing in Princeton, where I went away in order to work, but I’d come into New York and I’d play over certain parts for him. He would say, “You realize, this is dead time.” I asked him what he meant by “dead time, ” and said, “At this point the conversation is flagging, because nothing new is being added to the movement of the plot. Nothing is being said that illuminates the characterization. It’s just a desultory conversation, and the minute that happens, the audience will tune out.” That’s what he meant by dead time, and both musically and in terms of the libretto, it was something that needed to be cut out. That gave me — it gave both of us, the librettist and myself — a real sense of what it means to be economical in the theater, and how important it is, particularly in opera because it takes three or four times as long to sing something as it does to say it. You have to be very economical. That’s one thing Verdi is famous for in working with his librettist, the constant need for economy and pointing out the important thing at every moment; not wasting words, not wasting time. AI: I certainly would if anybody wanted to give me that opportunity. I wouldn’t do in on speculation, though. It takes two years of hard labor. At least, it took me that long. I wasn’t teaching for those two years. I took a leave of absence from the university for one year, and I had already accrued my sabbatical leave for the first year, so that meant two years of uninterrupted time in which to work on the opera. It took me fifteen months to write the score, and another three or four months to do the orchestration. And it was just working around the clock, all the time. BD: This is something I always like to ask composers who are also professors of music — how do you balance your time between teaching and composing? AI: It’s something of a balancing act, as you’ve put it. The summers are the time when one can do a great deal of sustained work, but you can’t stop working if you have deadlines. So I try to juggle things around. There have been times when I have refused certain committee responsibilities because I had a commission hanging over my head. Then when things were a little less frantic, I would agree to serve on this or that committee. Nowadays, as I was saying a moment ago, so much teaching is being done in an individual way. I have several graduate students, and also some Conservatory students in San Francisco that I teach privately. So this takes an enormous amount of time, and I am finding it something of a dilemma as to when I’m going to sit down and actually compose steadily for a whole day at a time. Maybe I get one day a week which I can spend maybe half of that day composing. This conversation is taking place at the end of April. Our university schedule will finish the semester in the first or second week in May, and I’m looking forward very much to the period when I can get really down to work and compose in a sustained way for a while. BD: So just as the students are looking forward to getting out, you’re also looking forward to getting out! AI: Yeah! On the other hand, I hate the thought of not teaching, because the students are what keep you honest. They keep you stimulated. They don’t let you get away with anything. And I just enjoy teaching so much that the thought of retiring from teaching does not please me at all. BD: Are you being forced into that? AI: No, no, but I’ve got another few years to go. Then I will be very sorry, and I will probably do some private teaching even after I do retire, which will be several years from now. BD: Staying with the opera just a little bit, would you encourage or discourage students to write operas, or to become opera composers? AI: I think people should do what excites them. At Berkeley, we have one student who’s on a prize now in Paris, and is soaking up the musical atmosphere there. But his graduate dissertation is going to be an opera, and the question is whether we can get it performed or not. He was able to get one scene of it performed just by getting some of his friends together and doing a scaled-down concert version of it. I think people who want to write opera ought to try to do something like that. I think if there’s a will, there’s a way. BD: The economic pressures against it are not overwhelming? AI: There’s an awful lot of opera being written for workshops and university environments, and I think people should certainly start out by writing modest-sized operas, like the one I did, which is a manageable thing and can be done by a university. You can also hire some musicians from the outside if you don’t have an orchestra that can do it, and you can hire some professional singers; it still is possible to do it in a university setting. People are being trained in all the arts of producing operas, and they’re composing them, too. BD: You’ve been observing and encouraging performers over many years. Have performers gotten better during that time? AI: They definitely have. I can speak for that. At least in my own experience as a composer, I find that orchestras and chamber players are less annoyed and frustrated by the difficulties of contemporary music than they used to be. And there are groups springing up in all of the cities who specialize in contemporary music. Some of them are sponsored by the symphony orchestras. Paul Fromm ran a program for many years in which he sponsored contemporary music in Chicago, and there are similar groups in San Francisco and in many other cities. BD: Right. As a matter of fact, I did an interview with him just a few months ago. He will be eighty in the fall, so I am going to do a special program for him with some of the things he has commissioned. AI: Great. I know him very well. He commissioned my Third String Quartet, as a matter of fact. It was done first at the University of Illinois in Urbana, back in the fifties. In any case, I think musicians have gotten better. I’ve noticed, for instance, that in the San Francisco Symphony, for example, the average age has gone down considerably. They’re made up largely of young, extremely talented and accomplished players who enjoy taking on the challenge of contemporary music in a way that was not the case thirty years ago. Back then, it was very difficult to get an orchestra like that to play a contemporary work without grumbling and complaining. You’d always find somebody coming up to you and saying, “These notes are too small; I can’t read them. There’s not enough light.” Well, you translate that into, “I just don’t want to play this piece.” [Both laugh] That’s what they mean when they say that. But you don’t hear that kind of grumbling anymore. They really like to take on a challenge. They’ll come up to you and say, “Now what did you really mean by this? Should I do it this way, or should I do it that way?” They put you on the spot and make you tell them exactly what you want, and then they do it! And they make suggestions as to how to do it better. So I think that the proficiency of performers has really gotten a lot better. BD: They’re more technically proficient, but are they better musicians? AI: There have always been first-class musicians. There are a lot of people who’ve always been interested in contemporary music and who have promoted it, so you can’t say that these young people now are better than they were. I just think there are more of them and I think there are just more of them who are good. I don’t think that they’re ever better than in previous eras. They’re always the best, and they will always be the best. BD: Are you optimistic about the future of music, then? AI: Well, if looking at what’s going on in the younger generation is any indication, yes I am optimistic, because I think there’s a terrific amount of creativity. There are probably more composers than there are places to put them! That’s the trouble — we’ve been turning out composers and performers, and the question is how many of them can the society absorb? BD: That was the point of my previous question — are there too many composers? AI: Well, in an economic sense there always are. You can’t support everyone who wants to compose, so it is a competitive thing, and there are always too many, yeah. BD: I want to thank you for being a composer! AI: Well, thank you for your very searching questions. I hope I’ve given them answers that make some sense. 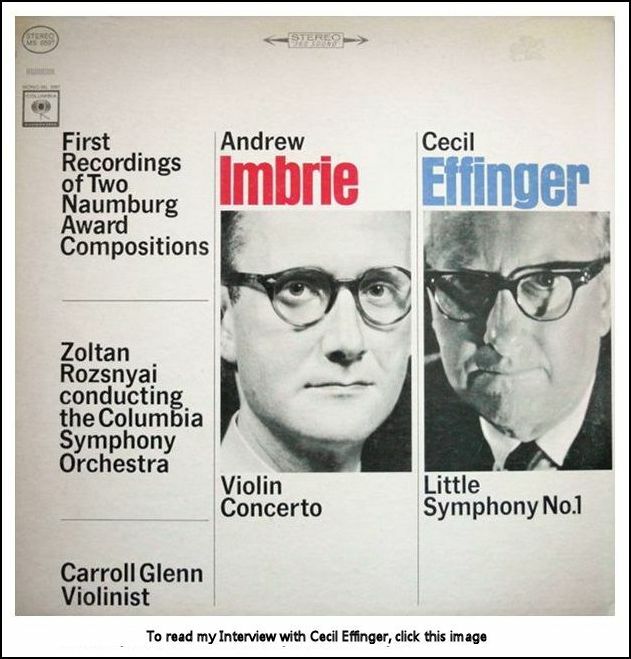 Andrew Imbrie, a prolific composer and influential teacher best known for his harmonically rugged but appealingly lyrical 1976 opera, Angle of Repose, and for a rich catalog of chamber, vocal and symphonic scores, died on Wednesday at his home in Berkeley, Calif. He was 86. His death was announced by Robert Commanday, the retired chief music critic of The San Francisco Chronicle, a longtime friend. 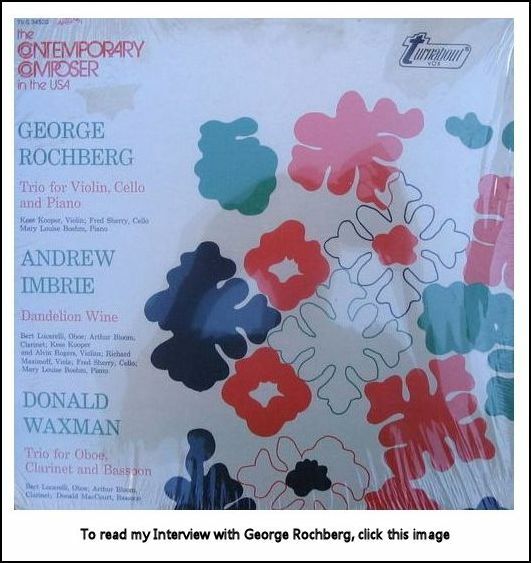 Mr. Imbrie was part of the generation of composers who came of age when tonality had fallen from favor, and his music is strongly influenced by search for a new post-tonal language. Throughout his career, his works have used dissonance dramatically rather than harshly, and if his themes were often shaped with the angularity that was the common accent of mid-20th century composition, they typically had an intensity that listeners heard as passionate and direct rather than merely spiky. In his Requiem, for example, composed in 1984 after the sudden death of his younger son, John H. Imbrie, the writing for solo soprano, chorus and orchestra is energetic, assertive and often angry, but its most vehement moments illuminate the tension between the traditional Requiem text and the poetry by William Blake, George Herbert and John Donne that he interspersed between the Latin movements. 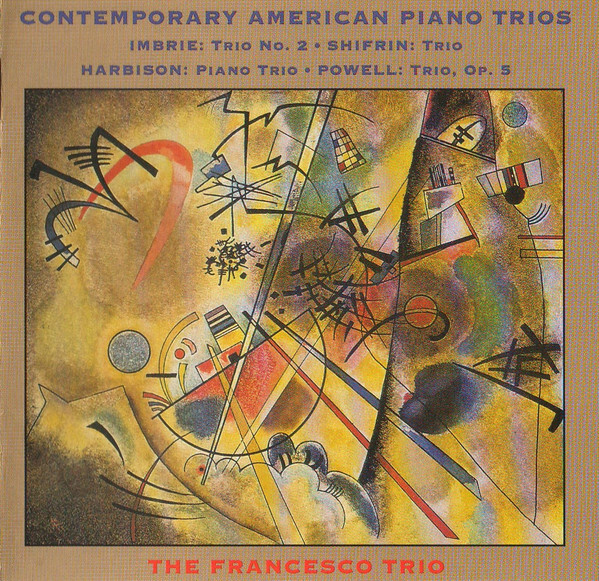 Other works, like the Serenade for Flute, Viola and Piano (1952) and the Dream Sequence (1986), use gentle timbres, graceful themes and rich, inventive counterpoint to create a sense of magical otherworldliness. 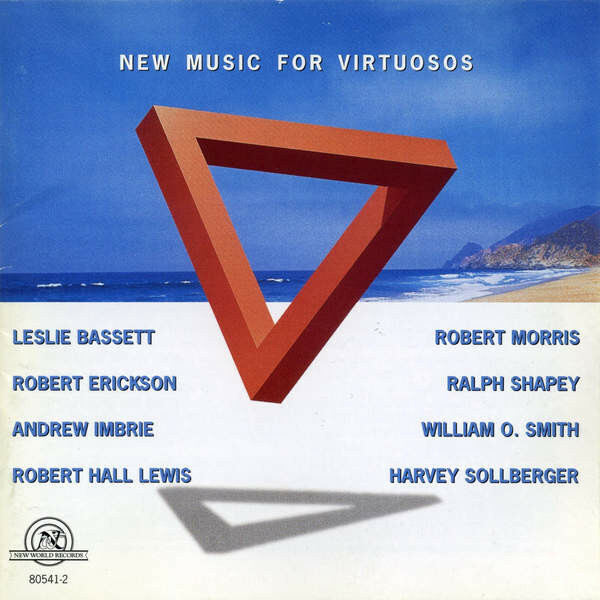 And in Angle of Repose, his second and last opera, he wove folk themes and banjo tunes into the otherwise atonal score, as a way of evoking one of the opera’s thematic currents, the settling of the West in the 1870s. Mr. Imbrie was born in New York on April 6, 1921, and began his musical training as a pianist when he was 4. When he was 16, in 1937, he spent a summer in Paris, studying composition with Nadia Boulanger and piano with Robert Casadesus. 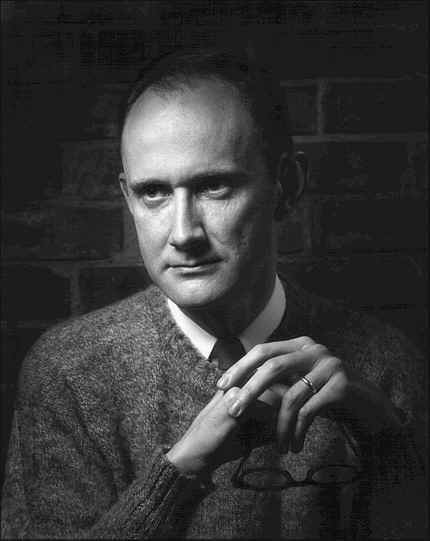 But a more formative influence was Roger Sessions, with whom he studied at Princeton immediately upon his return from Paris. He completed his bachelor’s degree at Princeton in 1942 and was a Japanese translator for the Army, based in Arlington, Va., from 1944 to 1946. He resumed his studies, again with Sessions, at the University of California at Berkeley. 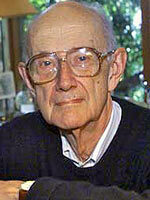 After he completed his master’s there in 1947, he joined the faculty, and continued to teach there until 1991. In 1970, he joined the faculty of the San Francisco Conservatory. Mr. Imbrie also taught at Harvard, Brandeis, Northwestern, New York University, the University of Alabama and the University of Chicago. 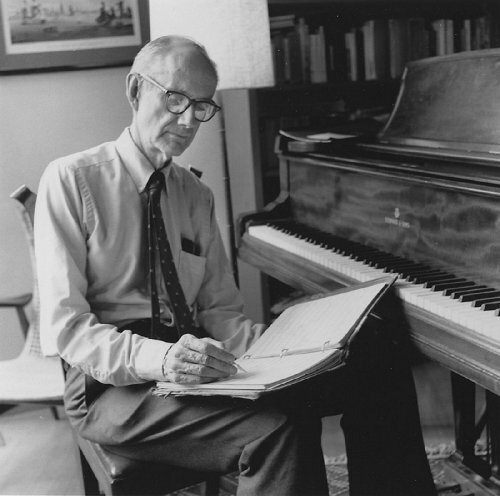 Mr. Imbrie’s works include five string quartets, three symphonies, and numerous chamber and choral works. His first opera, Three Against Christmas — later renamed Christmas in Peebles Town — is a comic piece about Christmas being banned and restored. It had its premiere in Berkeley in 1964. His last complete work, Sextet for Six Friends, was given its premiere by the Left Coast Chamber Ensemble in February. He is survived by his wife, Barbara, and his son, Andrew Philip Imbrie of Santa Clara. This interview was recorded on the telephone on April 26, 1986. Portions (along with recordings) were broadcast on WNIB later that year and again in 1991 and 1996. The transcription was made in 2008 and posted on this website in January of 2009.